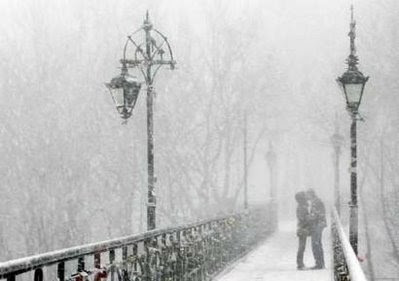 Home / lifestyle / love / winter / Love, Lust And Poetry – A Story About Soft Addiction! Love, Lust And Poetry – A Story About Soft Addiction! Sometimes everything looks so real, so close and so lovely. The wind around you pampers you, it soothes your soul. You want to jump with happiness without a definite reason, you want to cry and eventually you get addicted about love, lust and poetry. There are many things in this world, but the essence of life is defined by these three things. Everything looks unreal and monotonous if you don’t have these three things. You are just like a dead man walking without them. People crave for love everyday, every time, everywhere. You feel happy when somebody recognises your hidden smile. You feel good when somebody offers you a cup of coffee without any reason. Life without smiles, laughter and care is bad. Small things do matter a lot in a world where everything is so damn big. A Story About Soft Addiction! The idea of soft addiction is nothing but a way of feeling happy every time. It can be momentary as well as long lasting but it’s not an addiction basically. It’s another way to feel bliss. People are spending time online for caressing their soul. They are exchanging scraps for creating a bond, they are playing games for winning, and they are shopping for looking good. The way to happiness is fast now. The hidden urge for instant gratification is mounting with each passing day. The cold winter evenings with a coffee and cigarette and five good friends online can be fun. We don’t have to necessarily meet them to feel their love. Soft Addiction maybe an evil for people who believes life is imaginary. It’s touted unrealistic because they aren’t believers of fairytales. Yet, they are the most successful ones in the society. They think poets are poor, weird and useless. Yes, they are right actually because they are the ones who drive a Merc and hang around with beautiful people. An unpublished poet is nobody. No one listens to them until they get recognition. Yet, the poetry will continue to blossom. It will grow with time. It’s an everlasting emotion. It’s not an addiction, it’s life! :) very interesting perspective...deeply thought and wonderfully narrated, Cheers! I love the part which says "Small things do matter a lot in a world where everything is so damn big. "...it truly is the small things that make life beautiful! Saying what you feel (whether strongly or not) is blogging. And there is power in blogging. Good post. Good free flow of thoughts. Keep it up. Each of ur narration tells a fresh story ..dts quite amazing..